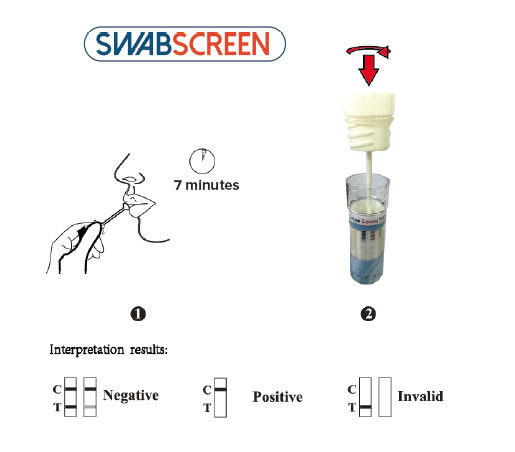 This Seven Panel SwabScreen Oral Drug Test with Alcohol provides more quality and value to this top of the line product. A great addition is the ability to test for alcohol abuse. This allows you to cover every area that is needed. This drug test continues to be less invasive, by only requiring the collection of human saliva. This eliminates the need of a private restroom and allows the testing to be observed, so that it is hard to adulterate the test sample. One test can detect up to 7 different illicit drugs. Once the sample is collected, it can be secured in its cap and delivered for further research.